← Here’s to a full recovery! I think that this has got to be my favourite one so far. I have started introducing almond milk into my diet, as it is easier on the digestive system and is a brilliant source of nutrients. When I came across this recipe it already had the almond milk as a part of it; for other recipes that don’t use almond milk I’ve just substituted the milk for almond. As well as this recipe tasting great I love the benefits that you get from apples. They are loaded with anti-oxidants, Vitamin C, Vitamin B6, riboflavin and thiamin. So they’re very useful in giving a little boost in energy. I know that some of the medications prescribed for Crohn’s can suppress the immune system, so the extra vitamin C can help us to stay bug-free. This all gets put in together and blended all of this until its smooth. Enjoy! 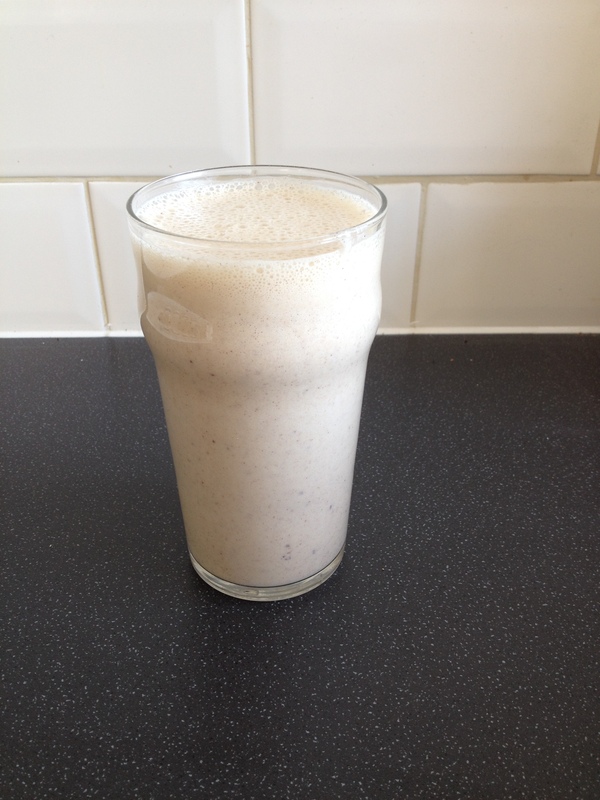 This entry was posted in Recipes and tagged Almond milk, antioxidents, Apple, Cinnamon, Crohns and Colitis UK, Smoothie, Smoothie recipes, Vitamin B6, Vitamin C. Bookmark the permalink.